Dundas Castle is one of Scotland's most beautiful castles and one of the country's most charismatic hospitality venues. 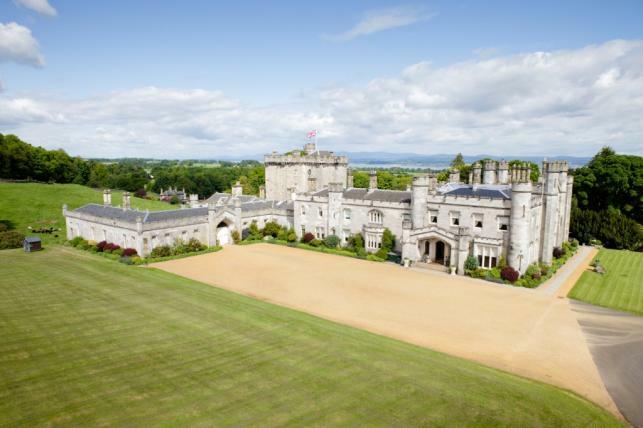 Dundas Castle offers a unique & interesting venue for a variety of exclusive events such as Team Building, Corporate Entertainment, Fundays, Team Training and Evening Theme Events. Once the evening draws in why not enhance your experience by hosting an evening to remember with a themed dinner or an informal Executive Quiz night. Dundas Castle is one of Scotland’s most beautiful and historic castles and it is one of the top 5 Star Exclusive Use venues in Britain. Unlike a hotel, the Castle is booked in its entirety for a wide variety of events – weddings, conferences, business meetings, incentive travel group visits, golfing holidays, private dinner parties, launch parties and receptions. Whether your event is for large or small numbers our experienced team will take care of the logistical side of your event such as suggesting appropriate locations, ensuring there is enough time for any group rotations and providing you with a range of appropriate menu options. We shall create an itinerary and adhere to the finest details so all you have to do is have enjoy your day. The 1,000-acre estate lends itself perfectly for Team Building pursuits. With facilities including 4x4 course, abseiling, Archery, Laser Clay Pigeon Shooting and Clay Pigeon Shooting, the Dundas estate is ideal for Team Building activities. You really have the pick of the crop here at Dundas Castle and you're limited only by your imagination at this 5 star venue and setting.